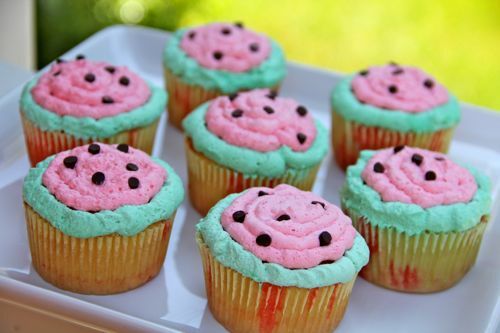 Shower of Roses: Watermelon Cupcakes :: A Fun Summertime Treat! 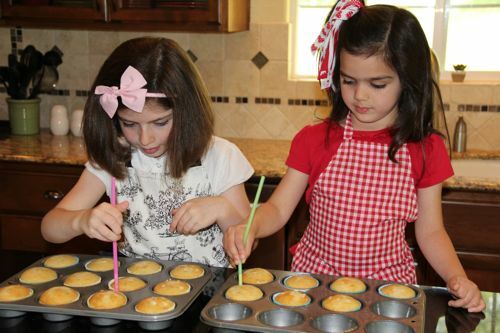 I have been saving the recipe for these cute cupcakes to make next month, for the feast of St. Anne, but with the cupcake decorating contest going on at the Virtual Baby Shower for Cupcake, my girls asked if they could make them now, as their entry for the contest! 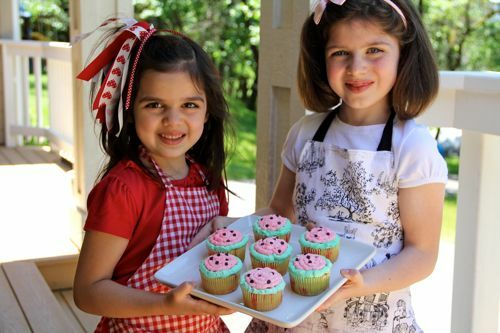 I figured that they'd be perfect for the girls to decorate, especially since the Watermelon Theme for St. Anne's feast day was originally inspired by Charlotte and her girls anyways! 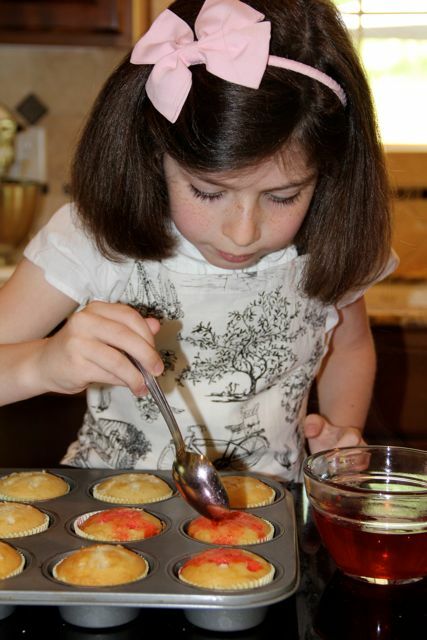 I think I will still add the recipe to Catholic Cuisine next month for the feast of St. Anne. 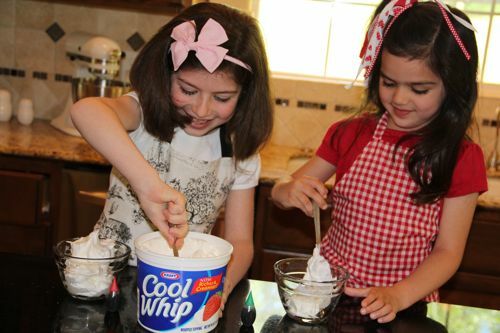 They would also make a wonderful treat for the 4th of July! 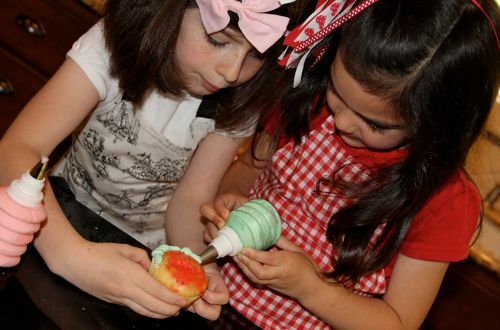 Using our Cupcake Decorator Bottles to hold the whipped topping (plastic baggies would work just as well), the girls piped a green circle around the outside rim of each cupcake. They then filled the middle with pink whipped topping. 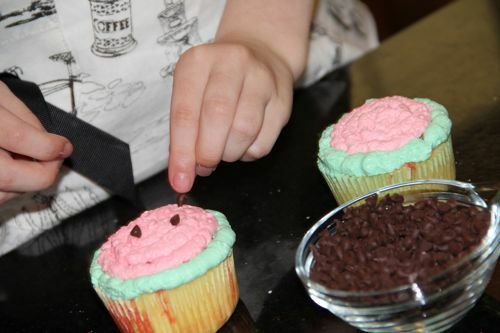 There is still plenty of time to enter in the Cupcake Decorating Contest, if you'd like to join the fun! So, we can do more than one? 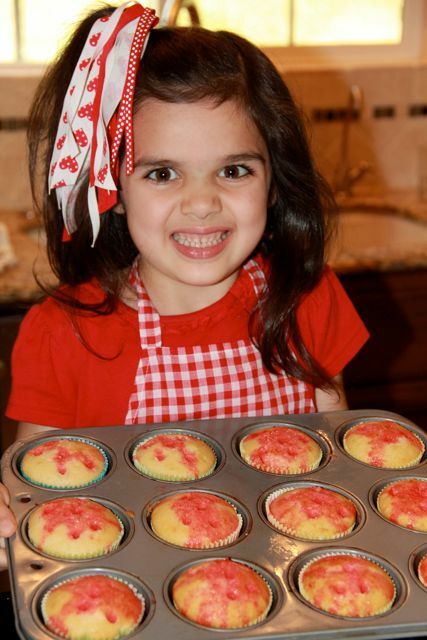 I am SO entering my butterfly cupcakes!! Those are adorable, they look so fun!! I was just commenting to someone the other day about how I don't hear about the jello over the holes in a cake thing anymore. I remember my mom making so many of these types of cakes. My friend said she still makes these types of cakes. I guess they are more typical today than I thought. :) Your girls are getting so big! Oh my those girlies are so cute! 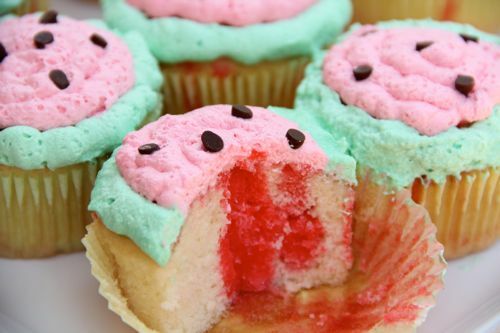 Those cupcakes are soooo cute!!!! These sound delicious! Ever so cute too:) Thanks for the encouragement with UD...So happy for your sister and upcoming Rome experience! These are adorable! 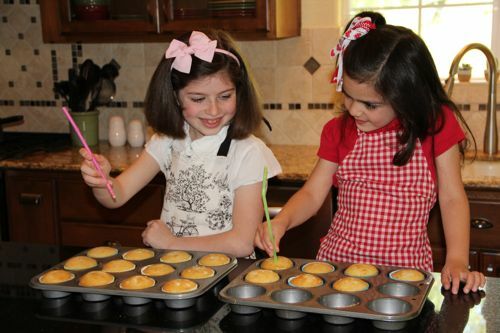 I showed my daughter this morning, and we can't wait to make them this weekend!